1. 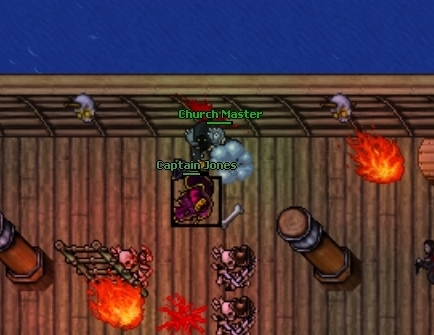 Boss can be found on Ghostship. The chance of getting onto the ship is about 10% during passage from Venore to Darashia. 2. Captain Jones an allusion of Davy Jones, the captain of the Flying Dutchman in the Pirates of the Carribean movie.